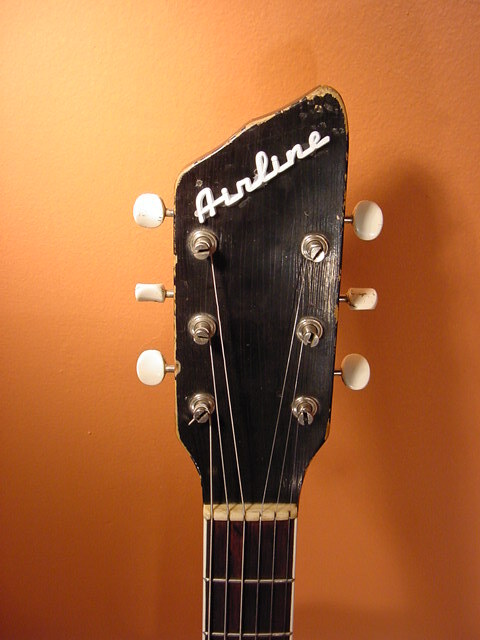 Airline guitars were being made in USA from 1958-1968 by Valco Manufacturing Company and sold primarily through the Montgomery Ward catalog company. Valco also made other popular brands like Supro and National. Today they are being made through Canadian company Eastwood Guitars. By the early 1960’s Airline were producing many different models – the more valuable vintage models were made of res-o-glas – but most in those early days were solid wood designs like this Town and Country Standard. 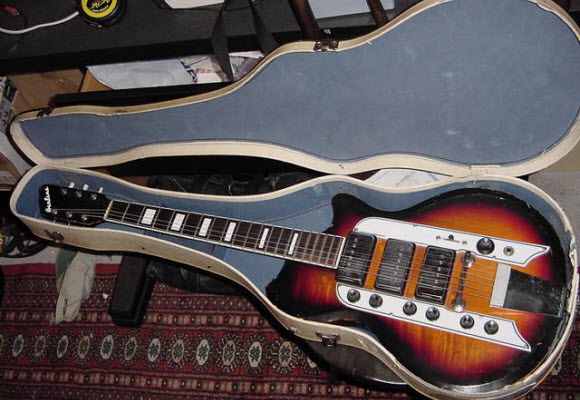 Although they appear to be humbuckers, these unique guitars had single coil pickups with a unique tone that became popular with the blues players (not just for their tone, but more likely for their affordability vs.. a new Fender Strat). 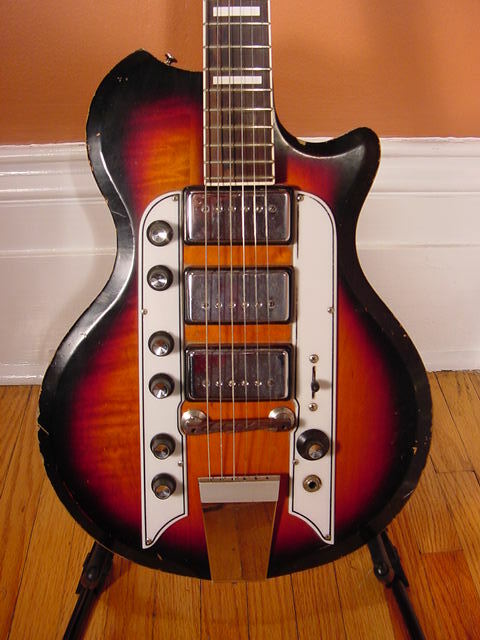 That is what modern players are seeking out these old guitars, like Jack White, for the growl-y single coil tone. 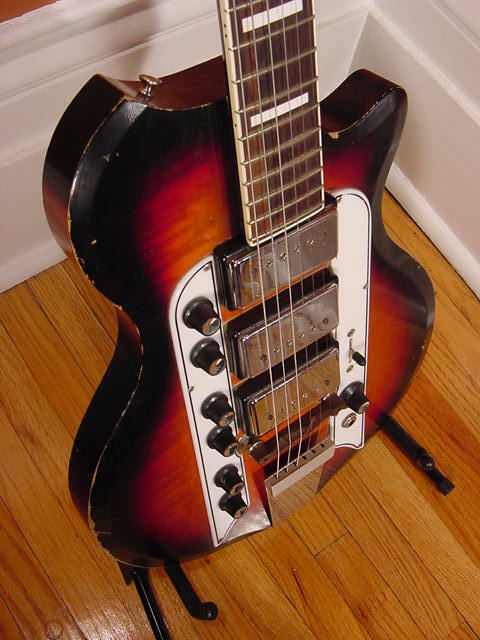 This sample had three pickups, each with its own volume and tone controls, and a unique 3-way switch (as opposed to the 5-way of a strat). This has its good and bad point. 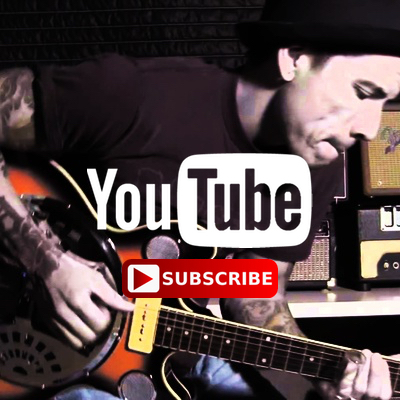 Good: you can have solid pre-sets for each pickup both in tone and volume that are completely unique. 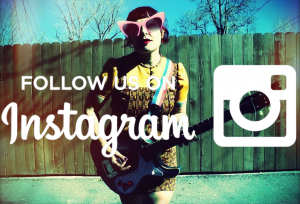 Bad: you miss the “in-between” tones that make the Strat so popular. A master volume rounded it out. 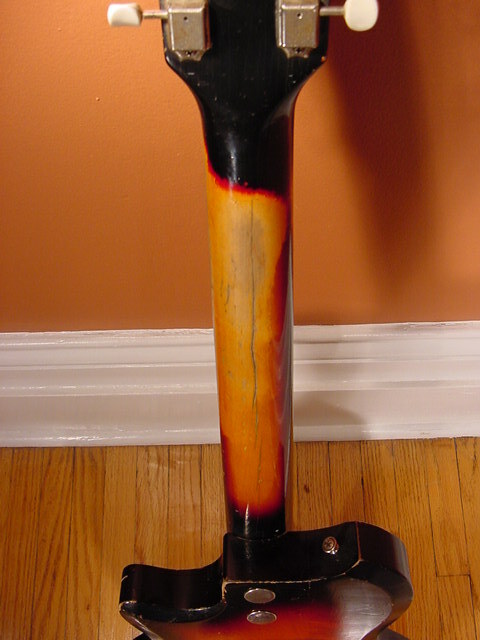 Another unique feature of this model was the rather crude “tone chambering” of the body. 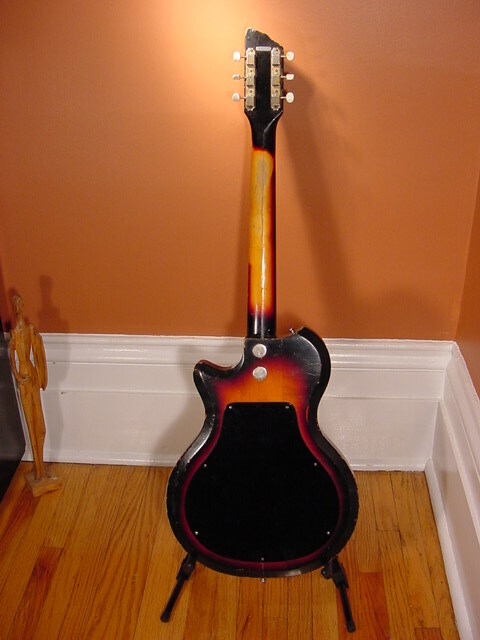 In the modern Eastwood version, it is made with the benefit of a modern CNC machine to completely route out the inside of the body, then laminate the back on to the guitar. 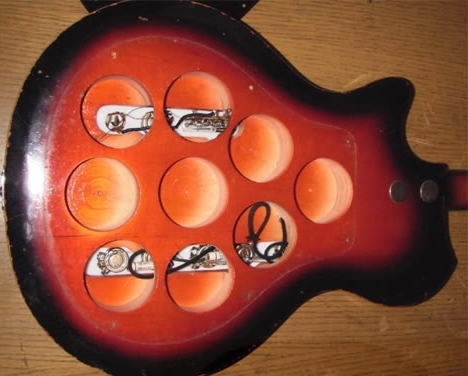 On the 60’s version, they simply drilled huge holes in it to remove wood and remove the weight, then slapped an over-sized plastic back on it to cover up the holes. Crude but effective. A serial # is on a little plate @the bavk of the head#T66234. Is it possible to get ‘notch’ positions on the selector for the Town and Country Standard? 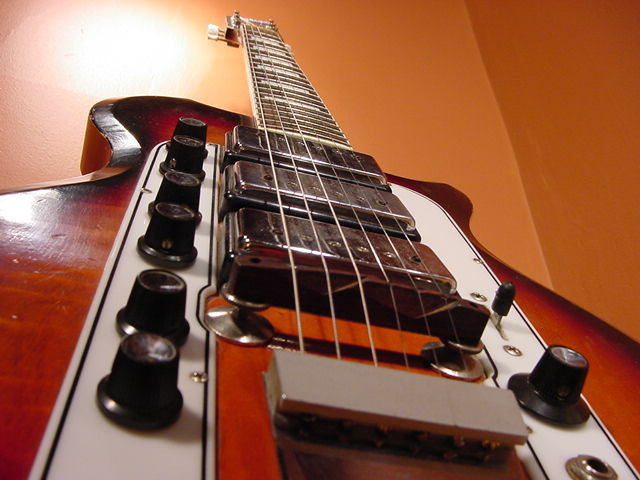 My guitar is serial number T59350. What can you tell me about it? Also have the original plush lined case. 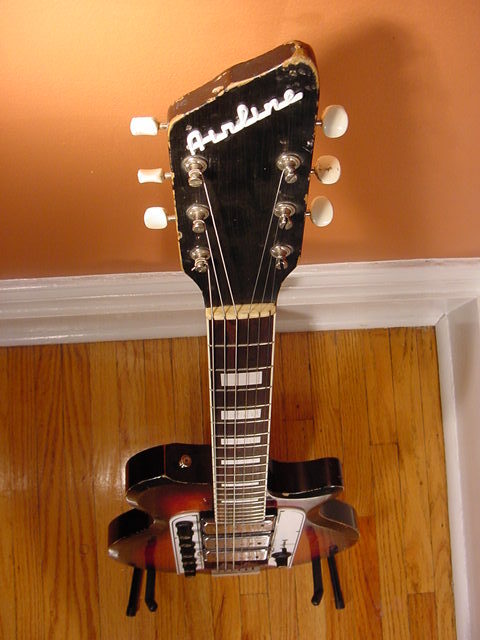 My uncle had one of these, and it stayed in storage a few decades with my grandparents. 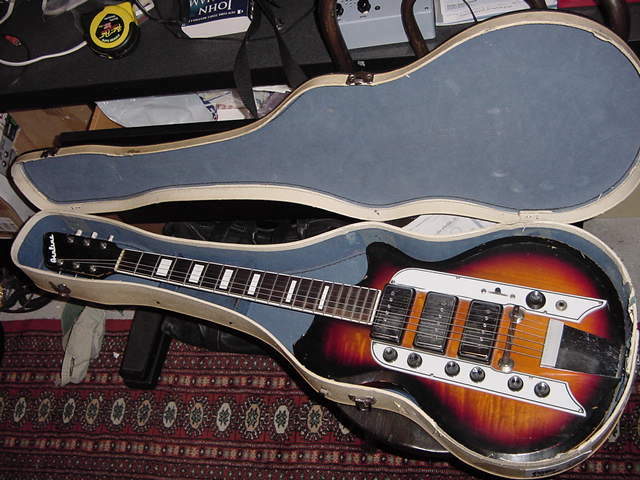 Now I have one, and it looks exactly like this, but with two pickups and no burst. 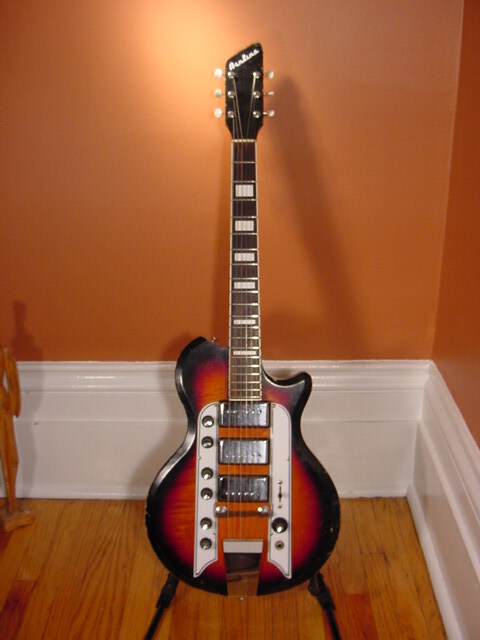 Any idea if that is something that was made that way, or if mine was probably a burst that got worn out? Context: you can see burst if you remove the neck, and the coating and stain is definitely wearing out in different places.